Visit La Playa Xpuha and Playa Paraiso for some beach relaxation. You'll discover tucked-away gems like Climbing Tours and Mayan Beach. 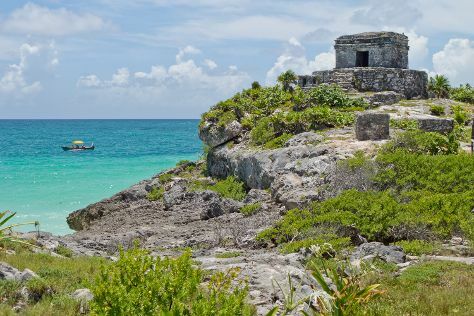 There's lots more to do: delve into the distant past at Ruins of Tulum, look for gifts at La Llorona, stroll through Akumal Beach, and get outside with Cenote Tak Be Ha. Make your Tulum itinerary with Inspirock to find out what to see and where to go. If you are flying in from Brazil, the closest major airports are Cozumel International Airport and Cancún International Airport. In February in Tulum, expect temperatures between 31°C during the day and 21°C at night. Wrap up your sightseeing on the 7th (Thu) to allow time to travel back home.